SAN JOSE, Calif. (CN) – A complicated copyright case involving one of the world’s great authors and the character Zorro received a little more clarity Friday, thanks to a federal judge’s ruling. U.S. District Judge Edward Davila ruled that a musical impresario did not infringe a copyright held by Zorro Productions Inc., which owns intellectual property rights over much of the famous fictional character’s exploits on the silver screen and in a bevy of television series. The masked vigilante, a wealthy landowner who fights corrupt government officials and other villains on behalf of the poor, downtrodden and indigenous in Spanish California, was created in 1919 by pulp writer Johnston McCulley. Douglas Fairbanks starred in the film adaption a year later. Both those works are in the public domain and no longer subject to copyright law. However, several of the television show plots, movie spinoffs and other Zorro-related material are protected by copyrights owned and maintained by Zorro Productions. In 1996, Robert Cabell published a musical called “Z-The Musical of Zorro” set in Spanish California. The same year, Cabell met with Zorro Productions owner John Getz to discuss producing the musical. When talks broke down, Cabell asserted he didn’t need a licensing agreement since the story was in the public domain and Getz said he would sue if the production ever went before audiences. While Cabell’s musical was read at the Lamb Theater in the late 1990s, it never received any financial backing and fizzled out. Cabell blames the numerous threatening letters Zorro Productions sent to various financiers and producers considering the project. 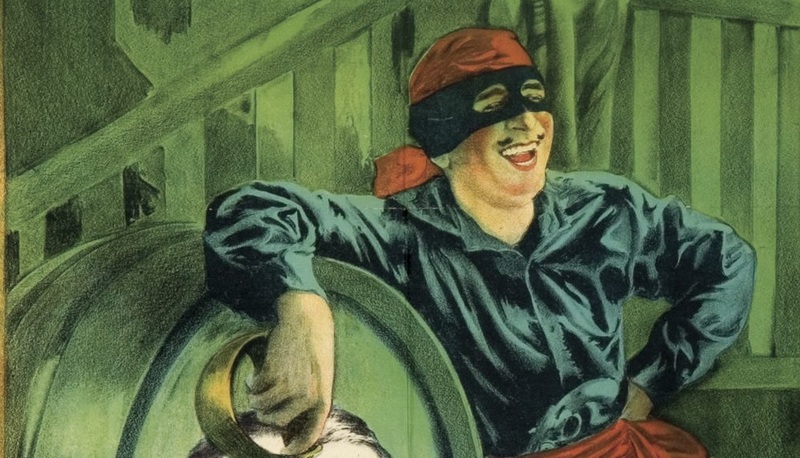 Meanwhile, Zorro Productions – after having read Cabell’s musical – produced a musical of its own, which went on to some success throughout the world having played in major cities such as Atlanta and Salt Lake City. Cabell sued Zorro Productions, saying the script they developed was a direct rip-off of his idea. The production company countersued, saying Cabell infringed the copyright by writing his initial script. On Friday, Davila ruled that Cabella did not infringe any copyright held by Zorro Productions and that a jury could reasonably infer the production company lifted certain parts of Cabell’s script for its own production. “A reasonable juror could find that the plot of the ZPI Musical is substantially similar to the plot of the Cabell Musical,” Davila wrote. However, there is yet another wrinkle to the case. In 2003, Zorro Productions entered into an agreement to have a novel written about the childhood of Zorro, and enlisted one of the world’s great novelists: Isabel Allende. A Chilean writer and practitioner of magical realism, Allende is widely regarded as one of the most influential novelists of Latin America. She published “Zorro,” about the childhood of the fictional character, in 2005. In the present lawsuit, Cabella says Allende lifted the plot for her novel from his musical production. Davila dismissed the copyright infringement claims as they relate to Allende’s novel. But Cabell’s claims against Zorro Productions over its 2005 musical will move forward and Cabell ducked claims of infringing copyrights held by Zorro Productions.